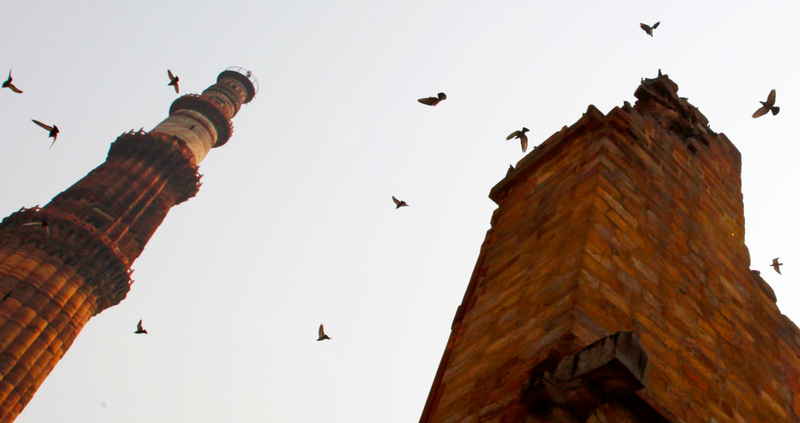 Erected by muslims in 1199 to mark victory over the local – and accessorily a minaret. 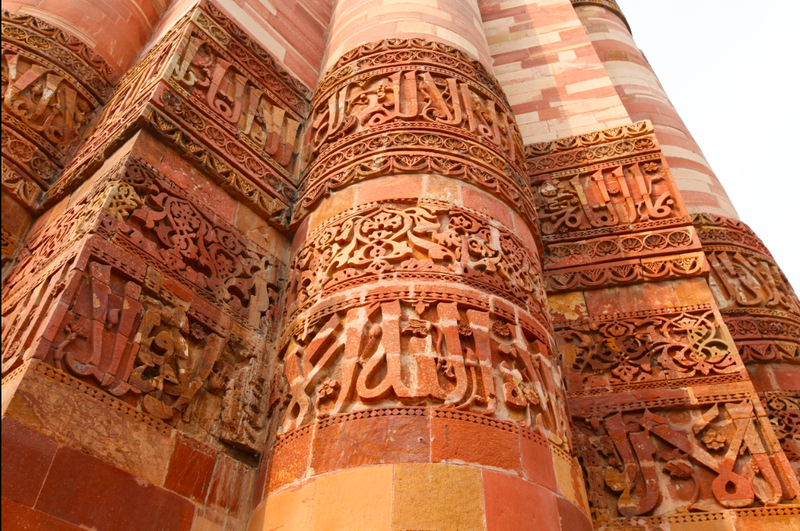 72 meters of red sandstone (grès) engraved with Coran suras (sourates). 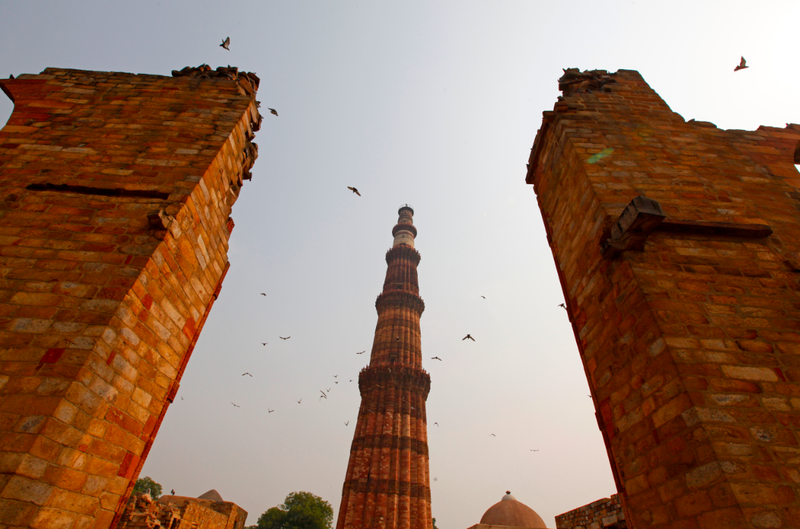 You cannot enter the minaret anymore: in 1981 a crowd panic resulted in 40 casualties! The monument has been closed ever since. Such shinny and colorful shinny everywhere could almost make me forget that women do not exist as such here. 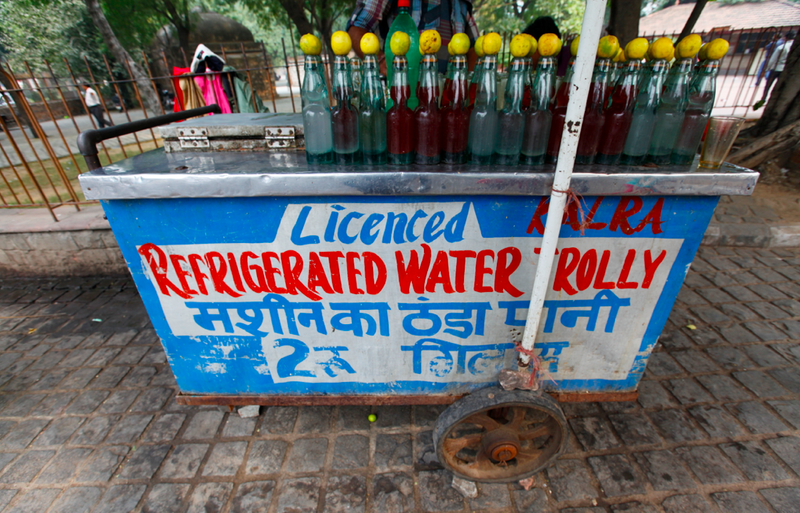 Would you like any refrigerated water before leaving the place ? 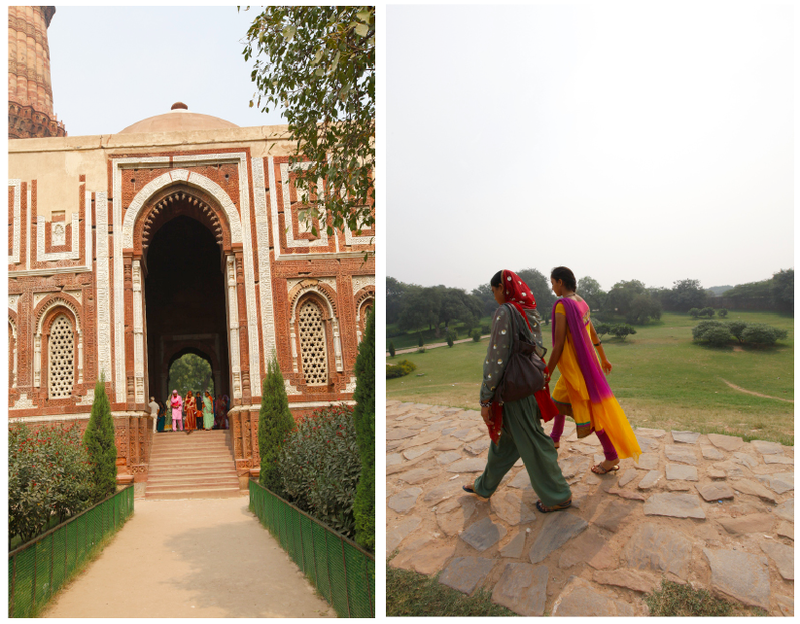 Erected in 1595 by the Mughal emperor’ widow. 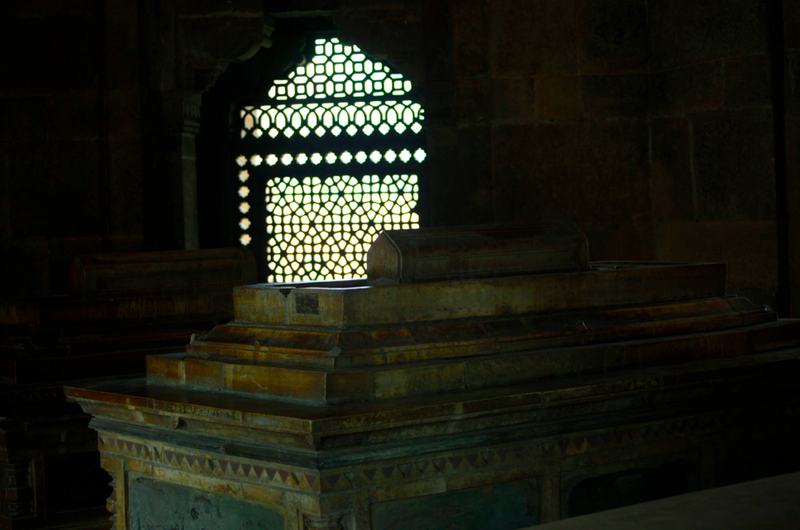 It adopts the style of a persian’ grave. 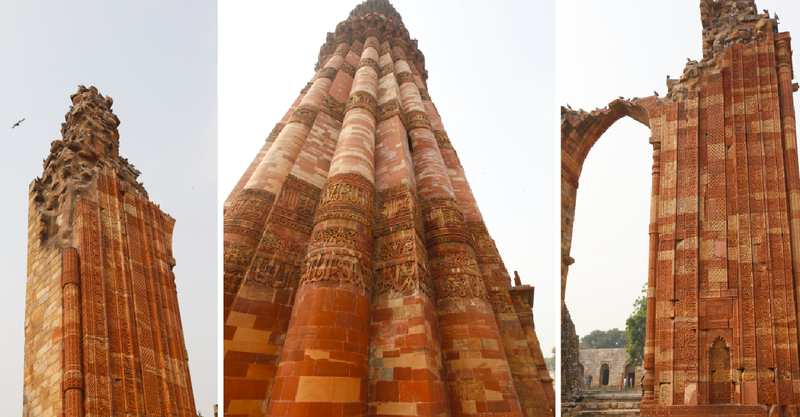 It was probably an inspiration for the architects of the Taj Mahal. 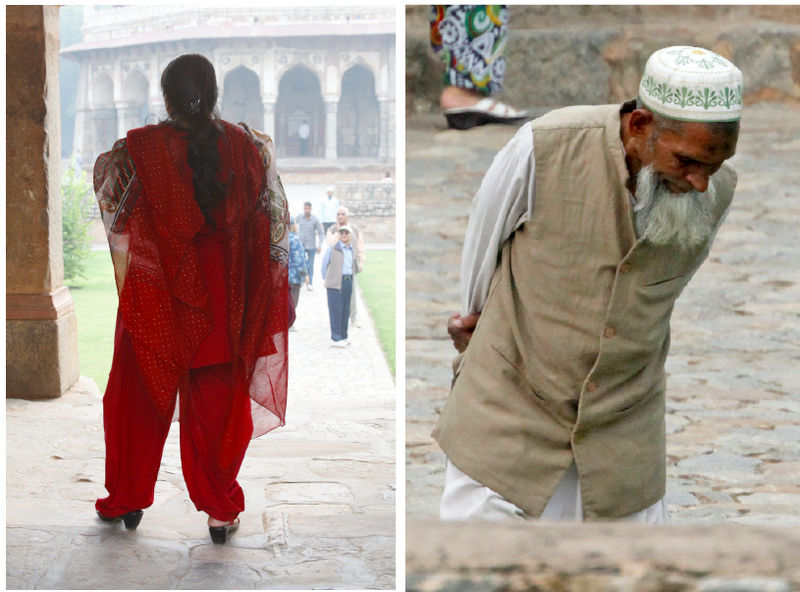 Indian tourists come here with their families or classmates.
. American groups in their sixties. 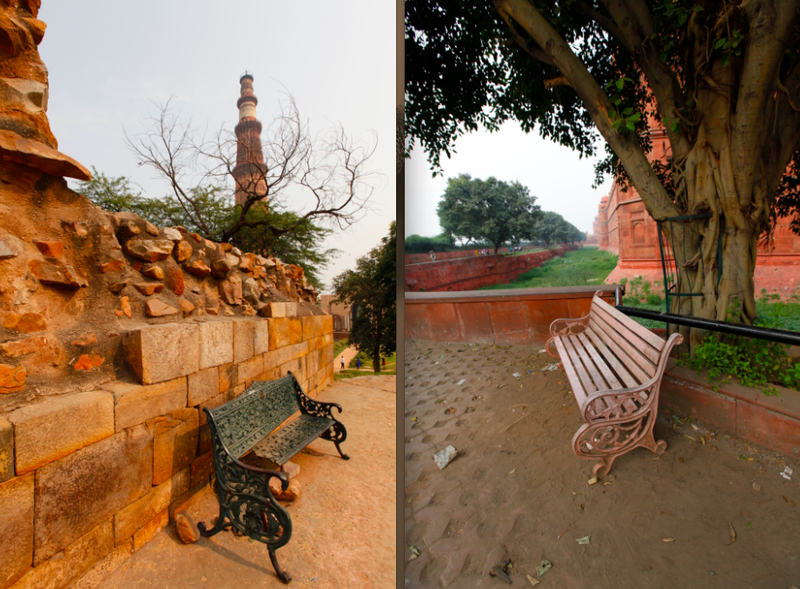 same typology in every monument! 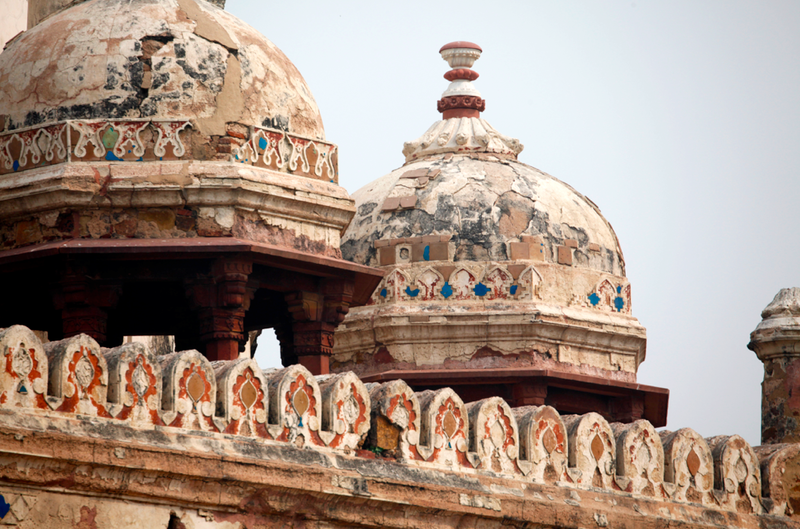 Constructed in the 17th century and the seat of Mughal power, it became a symbol of the rebellion versus the British. 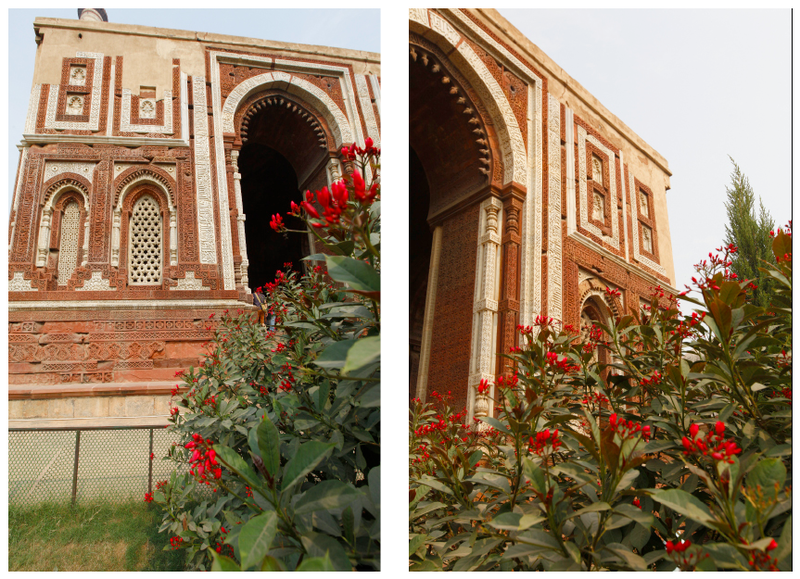 With the end of the Mughal reign (1858), the British gave official sanctions to remove and sell valuables from the palace at the Red Fort.They put down the harem apartments and instead of them erected a line of barracks. 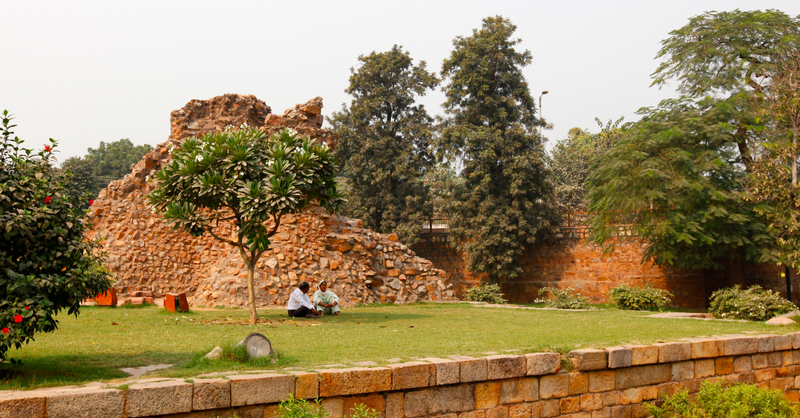 After Indian Independence, the site experienced few changes in terms of addition or alteration to the structures. 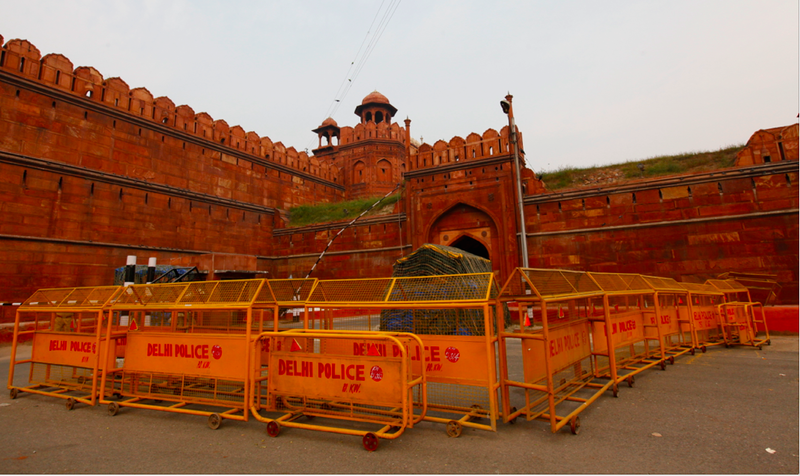 The Red Fort continued to be used as a cantonment even after Independence. The site isn’t only touristic. 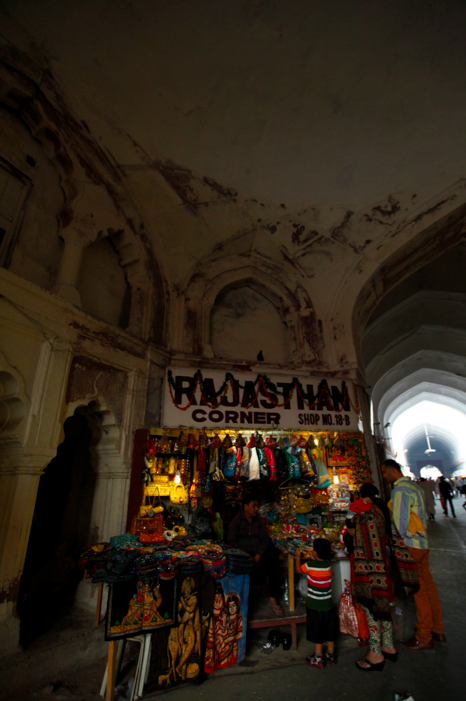 As the entrance fees only cost 10 Rupees to locals (250 for foreigners), they often come here for walks or shop, as thee Fort also shelters a bazar. 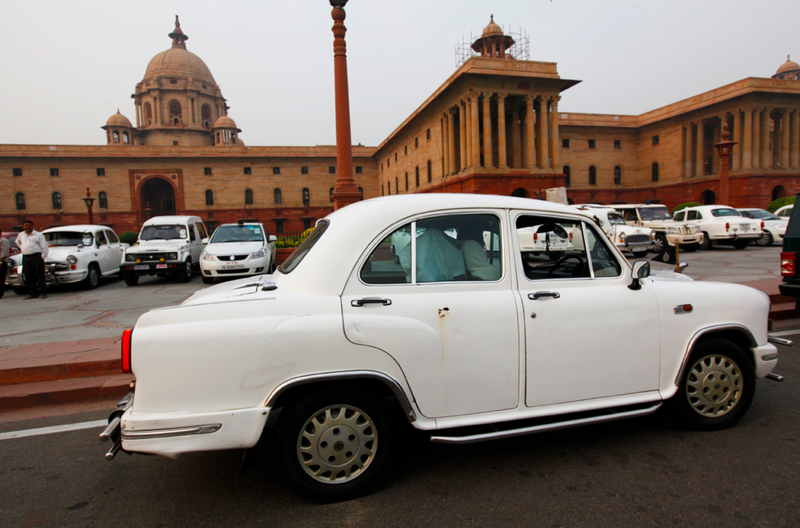 In the parliament’ street, very British in its style, a bunch of Ambassadors. 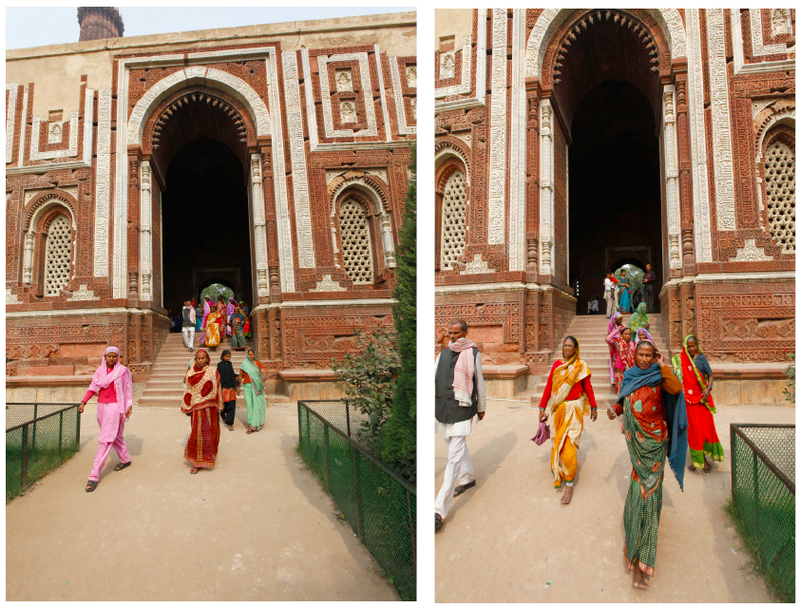 This entry was posted in India and tagged architecture, arts, religion by Stephanie Nedjar. Bookmark the permalink.